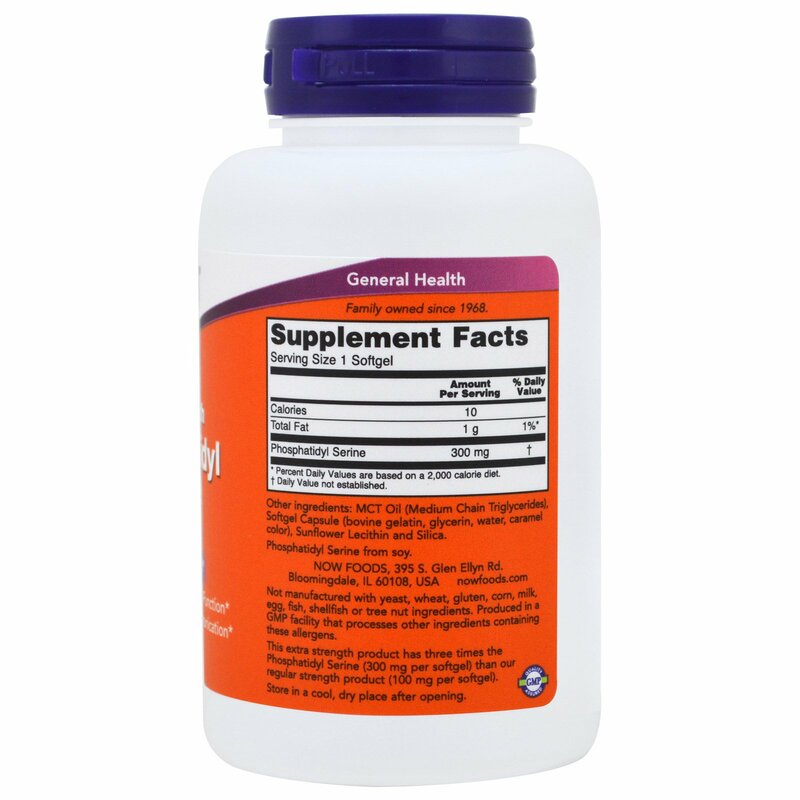 NOW Phosphatidyl Serine is a phospholipid compound derived from soy lecithin that plays an essential role in cell membrane composition and intercellular communication. 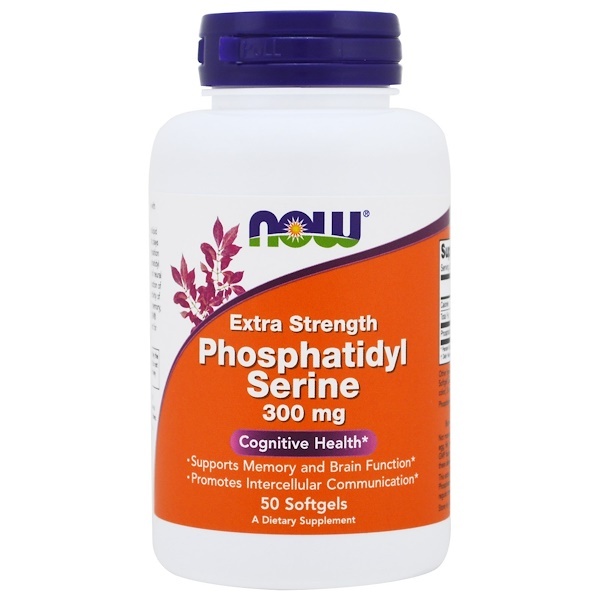 Phosphatidyl Serine is a major structural component of neural membranes where is assists in the conduction of electrical impulses and facilitates the activity of neurotransmitters involved in learning, memory, and mood. These properties make NOW Phosphatidyl Serine an ideal supplement for the support of cognitive function. MCT oil (medium chain triglycerides), softgel capsule (bovine gelatin, glycerin, water ,caramel color), sunflower lecithin and silica. Not manufactured with yeast, wheat, gluten, corn, silk, egg, fish, shellfish or tree nut ingredients. Produced in a GMP facility that processes other ingredients containing these allergens. 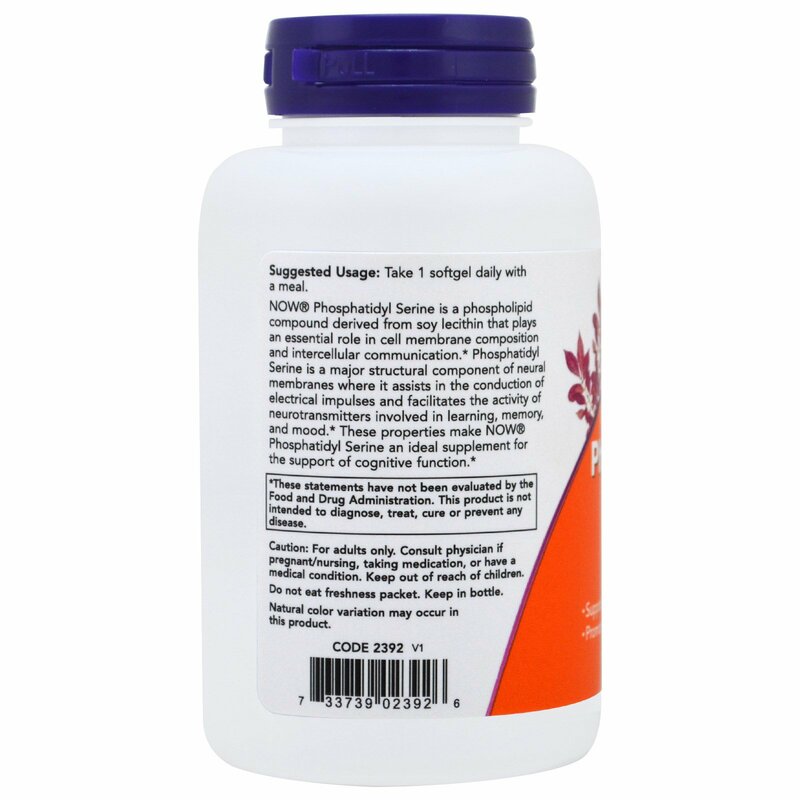 This extra strength product has three times the Phosphatidyl Serine (300 mg per softgel) than our regular strength product (100 mg per softgel).